1. If a man A completes a work in 10 days & man B complete the same work in 15 days. In how many days the work is completed if they work together ? 2. If X & Y completed a work together in 6 days. 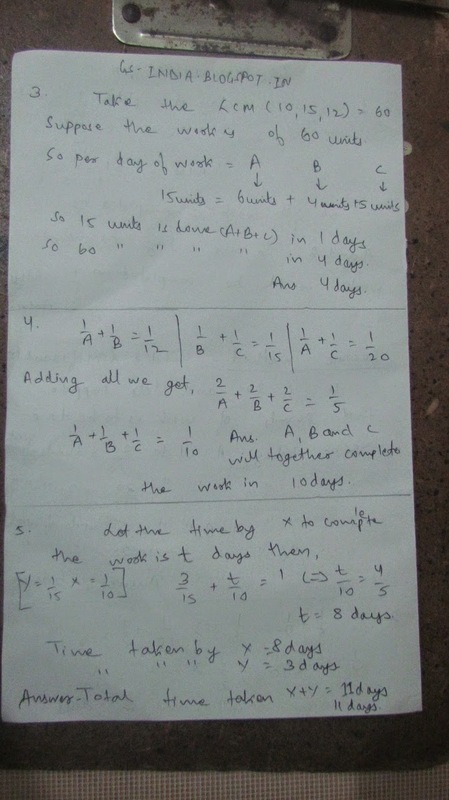 If X completed the same work in 10 days alone. Then in how many days will Y complete the same work alone ? 3. If a particular work is completed by A,B,C in 10, 15 and 12 days respectively. In how many days will the work be completed if all of them work together ? 4. If A & B can complete a piece of work in 12 days, B & C can do the same work in 15 days and A & C can do the same work in 20 days. In how many days will A,B and C will finish the work together? 5. X can do a piece of work in 10 days and Y in 15 days. Y starts doing the work on his own and after working for 3 days he left. Now the work is to be completed X alone. 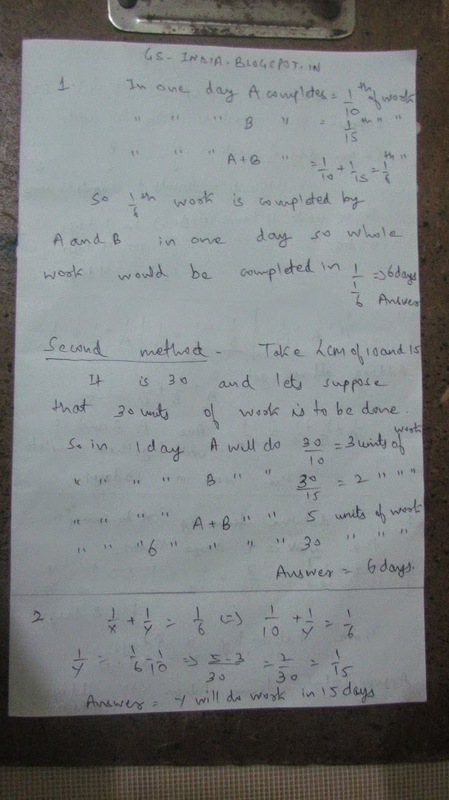 What is the total amount of days required to finish the respective work. After solving these questions if you have any doubt regarding the solution of these questions as given then please leave your doubts in the comment section. However it is highly recommended that you first solve these questions by your own and then look at the solutions. If while solving questions you are encountering questions of Quantitative Aptitude, Reasoning or Data Interpretation which you are not able to solve or having any doubt in them you can also post them here and I will answer them as soon as possible. However while posting such questions post them under appropriate heads. For example if you are posting a question of Time Speed & Distance then post them under any post having Time Speed & Distance questions.